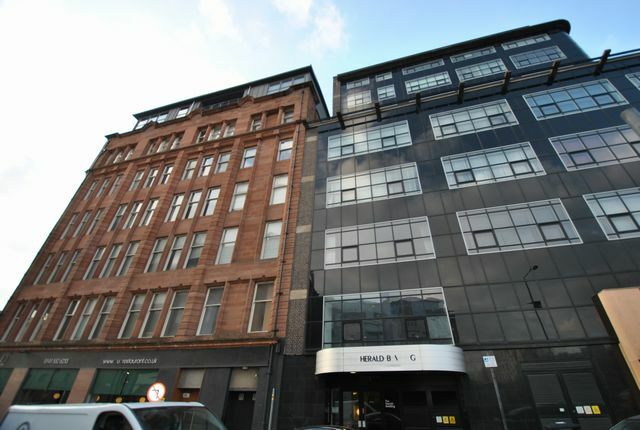 Stunning property in the heart of the Merchant City, this flat must be seen to be appreciated. A large open plan lounge, dining room with a row of double glazed windows which gives a magnificent light bright feel to the property. There are two double bedrooms the master has built in wardrobes en-suite and a large window formation. There is a fully equipped kitchen and family bathroom. Electric heating, DG and private parking.Communal roof terrace is sure to impress.